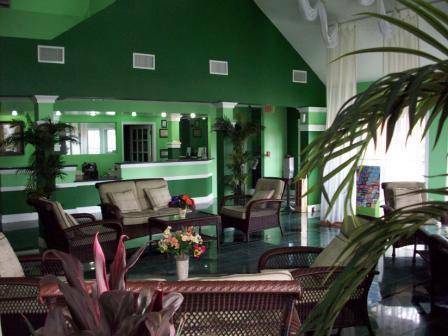 This exotic boutique resort, South Beach Olrando Luxury Suites, is on beautiful Lake Cecile with 11 newly renovated buildings painted in bright Caribbean colors. 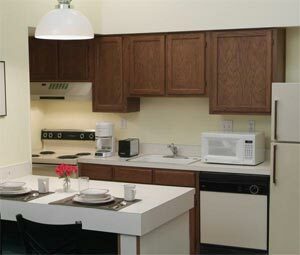 There are 144 one- and two room suites, with full size kitchen appliances, dinner-and cookware. 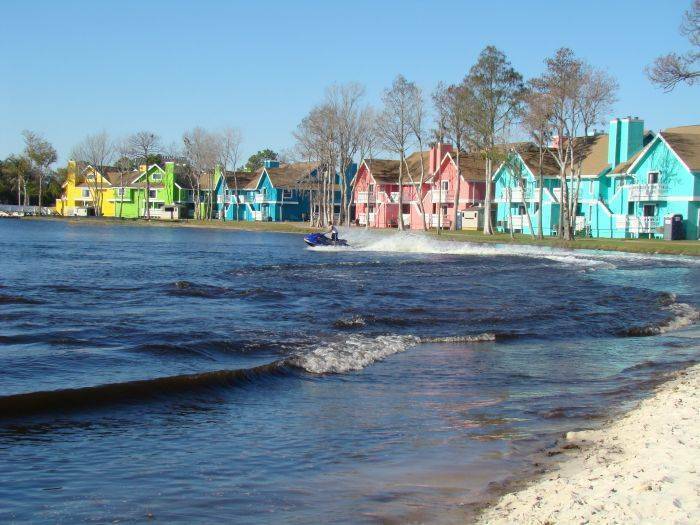 Our Backyard Paradise consists of a beautiful white sand beach overlooking the lake where you can rent jet skis and paddle boats. Relax in private cabanas, swings or beach beds all along the beach. 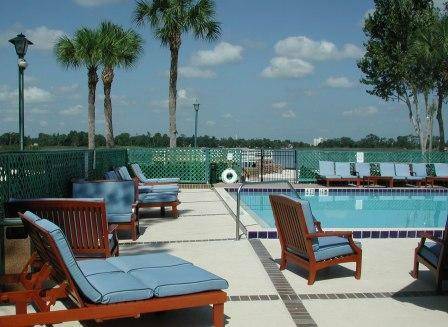 There are grills, children's playground, volleyball and basket ball courts, pool and whirlpool with full service tiki bar. 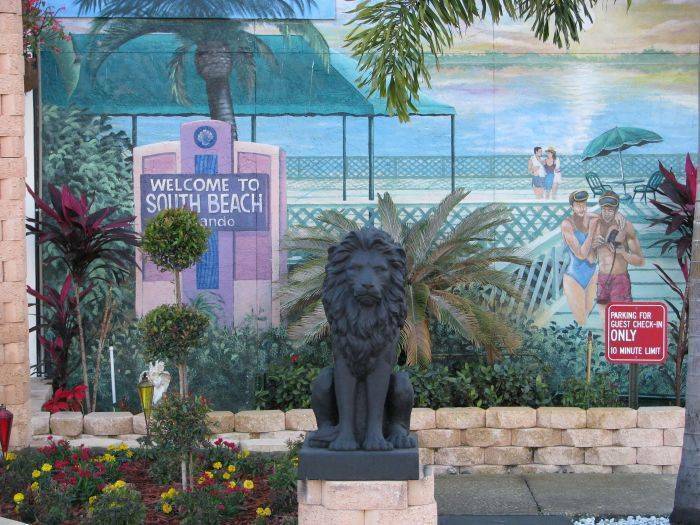 Just added is the wonderful beachwalk with food vendors, shopping and entertainment. Great major events going on almost every weekend. 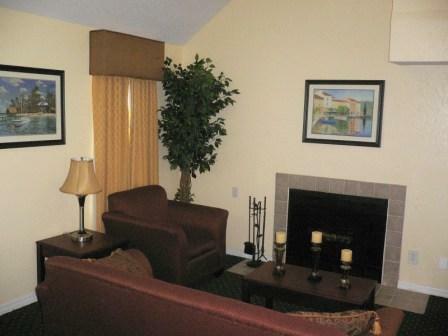 Our front door opens to restaurants, shopping and other attractions right across the street. A must stay... You will love it! All suites have full kitchens with full size refrigerators, microwaves, dishwasher, coffee-maker, toaster and all eating utencils. Located on beautiful Lake Cecile. Also with lots of shopping and restaurants within walking distance. $11.30 resort fee will be added. 24 Hours Cancellation notice prior to resort arrival applies for individual reservations. Less than 24 hours will result in full charges. Group Cancellation requires 72 hours notice. Less than 72 hours will result into a 50% charge of room total. From I-4 take exit 68( Lake Buena Vista Exit) to 535 South, after approximately 4 miles turn left onto us 192 East. Hotel is 1/2 mile on right.